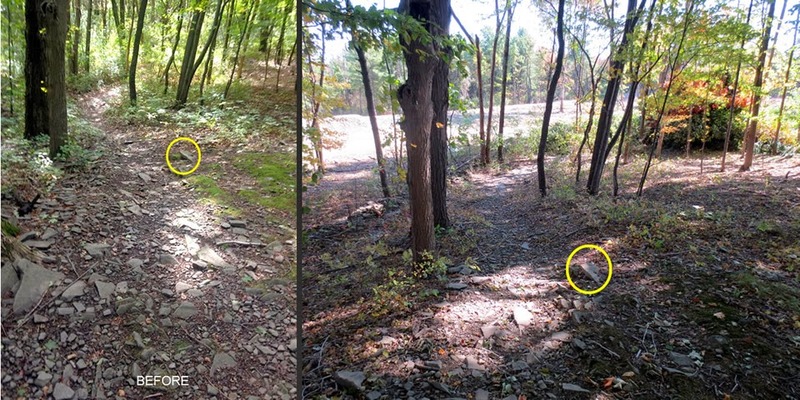 I was forewarned the last time at Luther Forest that the Colonie Trails may “disappear soon." 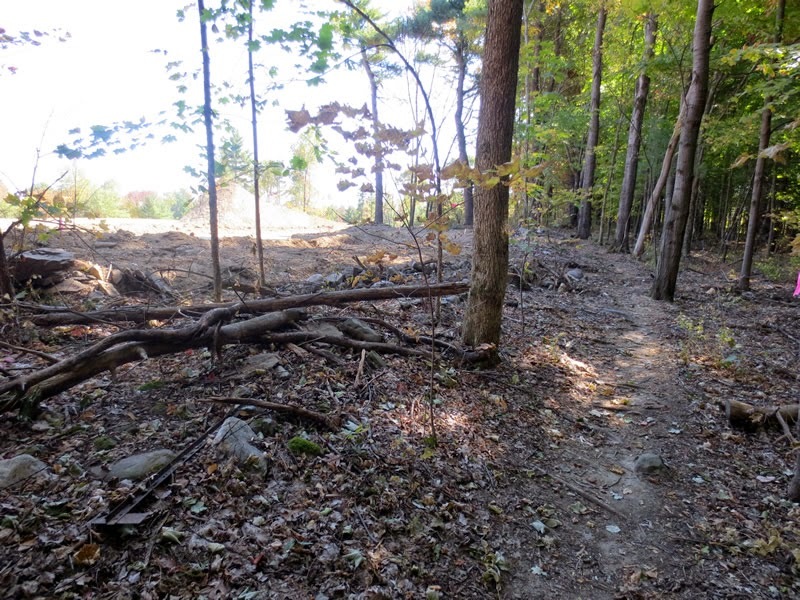 Sure enough - the far east side of the trail system is now bulldozed away to make room for a housing development. 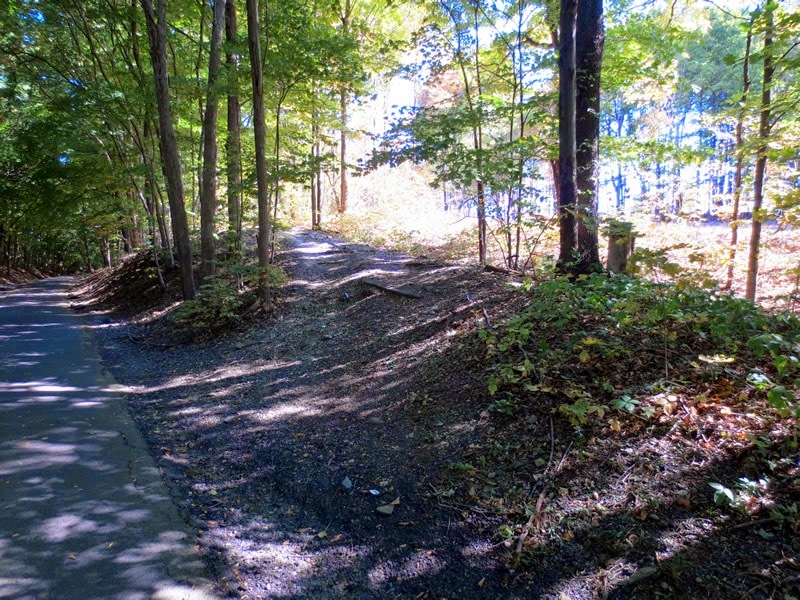 I usually head in on the far eastern trail and try to loop around the outside trails first but NOPE - they no longer existed. Interestingly, I had some photos from back in 2012 and I have built a couple of before and after comparison shots. 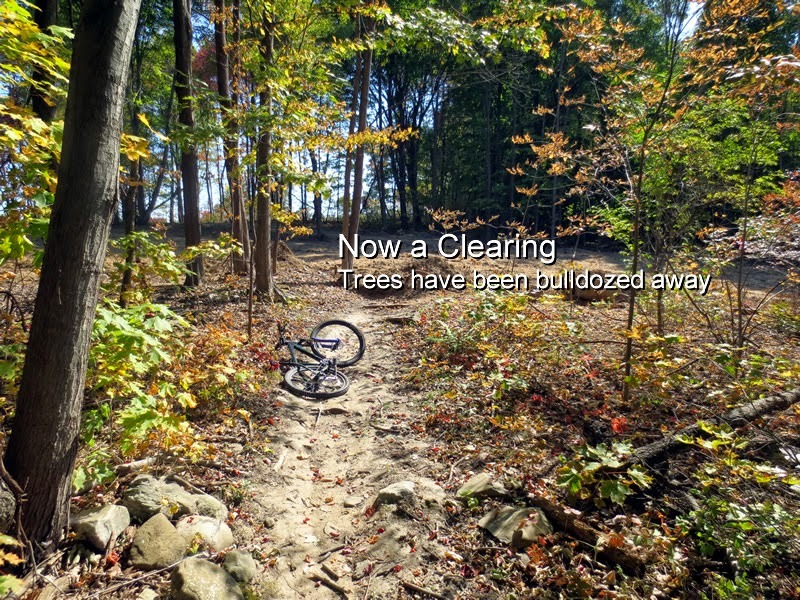 It was a very strange experience riding on these now useless dead-ended trails seeing the sunlight blasting thru and being surrounded by clearings. Oh well - it's not quite the "end of an era" (yet!) as there are still some great trails to the east side of the ravine that have not been plowed under and thankfully the west side of the ravine is still intact! The Alplaus Kill is Beautiful!